Salvador Cervantes qualified as a veterinarian in 1998 from the Autonomous University of Barcelona (UAB), followed by an internship at the Companion Animal Hospital of the same institution. He has a particular interest in therapeutics, anaesthesia, pain control and feline medicine, and he recently obtained Accreditation as Specialist in Feline Medicine in Spain (Acred Med Fel AVEPA). 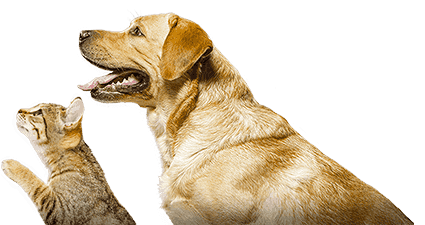 He is a member of the American Association of Feline Practitioners, the Spanish Study Group of Feline Medicine (GEMFE) and companion Animal Clinics committee member of the statutory body, the Colegio Oficial de Veterinarios de Barcelona. 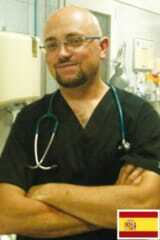 In 2001, he founded a companion animal practice in central Barcelona, with a strong interest in internal medicine. He is the author of the 2012 textbook on small animal geriatrics (in Spanish), Manual de Geriatria Canina y Felina. In 2016, he co-founded the Clinica Felina Barcelona, a cats-only hospital in Barcelona, Spain.